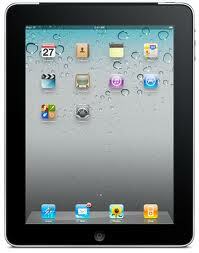 iTeach with iPads: June 1....Already thinking of the first day of school! June 1....Already thinking of the first day of school! The school year is over, but the ideas for a new school year are already on their way. This year was the first year of an iPad pilot in my district. What a wonderful adventure it was! My grade level had a class set of iPads to share among the three of us. Since this technology in classrooms is so new, it was up to us to figure out how to apply it in our classrooms. We learned as much as our students did! In the fall of 2012, we will be opening a Sixth Grade Academy, which will house all 6th graders in our district and each student will be issued an iPad. I hope to use this blog to help other classrooms get ideas on how to manage, teach and learn with iPads in the classroom.